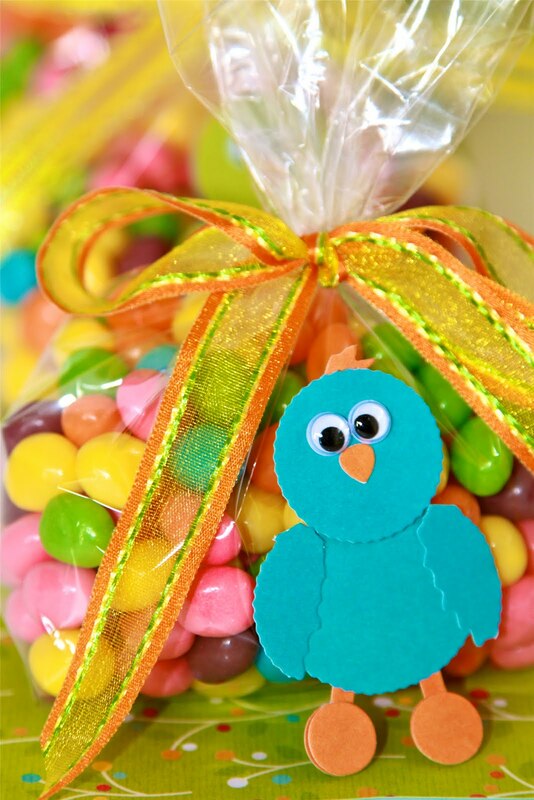 How cute are these little jellybean filled chick goodie bags! I simply filled these bags (FDAGB3) with these yummy bright colored sweet-tart jellybeans, added a chick cutout on the front of the bag and tied it with a ribbon. ClearBags offers a large number of Decorative Food Bags and is always expanding the product line.